Should the President Heed the Sermon on the Mount? Do you want the leaders of our country to follow the Sermon on the Mount? I’m not asking if you think they should be compelled to, or if the Sermon on the Mount should be made the law of the land along with the Ten Commandments and other parts of the Bible. This isn’t about religious liberty or whether the United States was or is or should be a Christian nation. 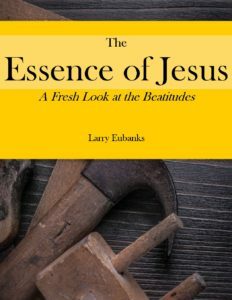 I’m just asking if you think that it would be a good thing if the leaders of our country, the president for instance, guided their thoughts and actions according to the ethic Jesus taught in the Sermon on the Mount? Because apparently there is at least one prominent Baptist pastor who feels having someone as president who acted like Jesus would be a bad thing. Last week Robert Jeffries, pastor of the First Baptist Church of Dallas, said that the president should “take out” North Korean leader Kim Jong Un because the Bible justifies deadly force against evil-doers. He cited Romans 13 and said that it justified “assassination, capital punishment or evil punishment” (emphasis mine) to stop people like the N. Korean dictator. So assassination is a violation of U.S. law, yet completely biblical. At last! 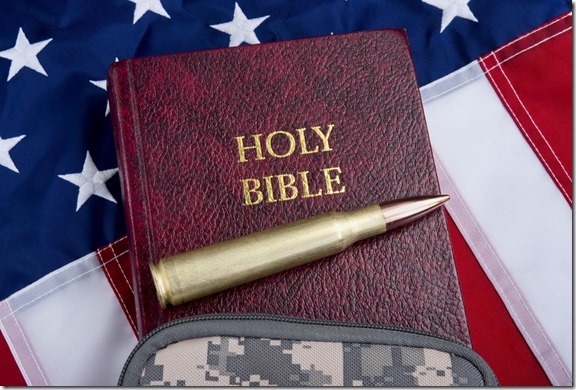 Finally someone who has espoused that America was, is, and should be a Christian nation is honest enough to admit that there is a fundamental incompatibility between the teachings of Jesus and the aims of a mighty militaristic super-power. I struggle with that incompatibility. I like living in a country where I feel safe from military attack because we have such a strong military force. I have a blanket of security that envelopes me that is based on our ability to use extreme violence anywhere in the world. I also really, really like the Sermon on the Mount, and I take seriously Jesus’ life of confronting evil non-violently, his refusal to pick up a sword or raise an army or allowing his followers to do so. I like both of those things, and thus the struggle. People who like polysyllabic words call it “cognitive dissonance,” but by whatever name the struggle is real. You really don’t have to delve deep into the interpretation of the gospel accounts to sense the incompatibility; a simple reading is all it takes. Thus it drives me nuts to hear people talk as if there is no incompatibility between the two. That what is evil when another country does it is justified when a Christian country like ours does it. That the Jesus who preached the love of enemy and who refused to listen to the siren call of the Israelite Zealots to raise up a guerilla army against the brutal and vicious Romans whose pagan emperor had declared himself “Son of God” would have no problem with his followers in a Christian nation outdoing their enemies in violence. So I’m actually glad to hear this Christian leader be honest enough to speak about the incompatibility. I’m just surprised that Jeffries recognized that he needed to pick one or the other, and he didn’t pick Jesus. Ha! Kidding! I’m not surprised at all! When it comes down to whether we feel safer with the swords Jesus told us not to pick up or the crosses he did tell us to pick up, it’s clear which one we prefer. There are a lot more Christians holding swords than crosses. But it makes me wonder what in the world it means to be called a Christian nation if we don’t want our country and its leaders to heed the words of Jesus in the Sermon on the Mount.